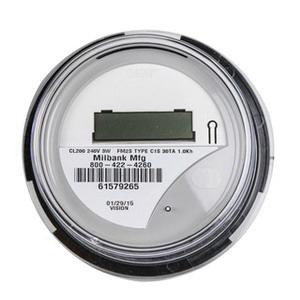 Milbank E-Z Digital Meter submeter is rated at 200-Amps and 120/240-Volt AC at 60-Hz. This submeter has digital display with 1 kWh increments resolution. Submeter is used on metering accessory and Kilowatt-Hour measurement. Submeter is ANSI certified.